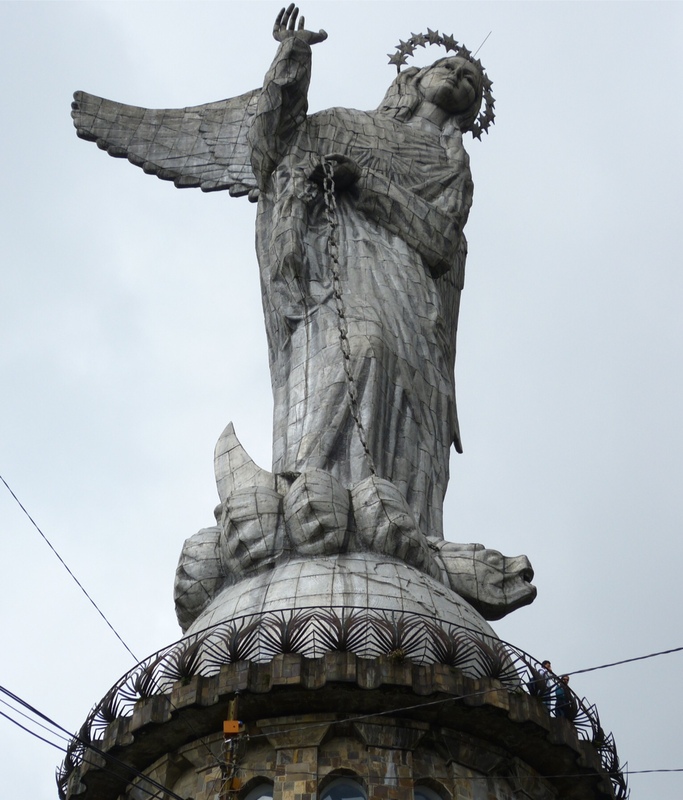 The winged virgin, with the serpent firmly in hand, overlooks Quito, from the heights of El Panecillo. The elevation here is almost 10,000 feet. The view is spectacular, and this photo doesn’t even come close to capturing this magnificent city. The old city is in the foreground, with the skyscrapers of the new city barely visible. 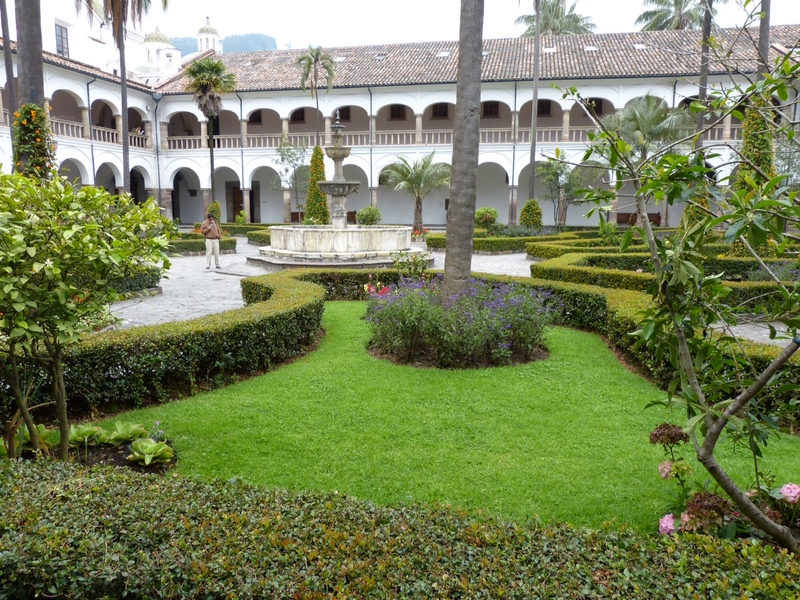 We visited San Feancisco church and convent. We weren’t able to photograph the interiors of any of the churches, but the courtyard was fair game, and was quite lovely. 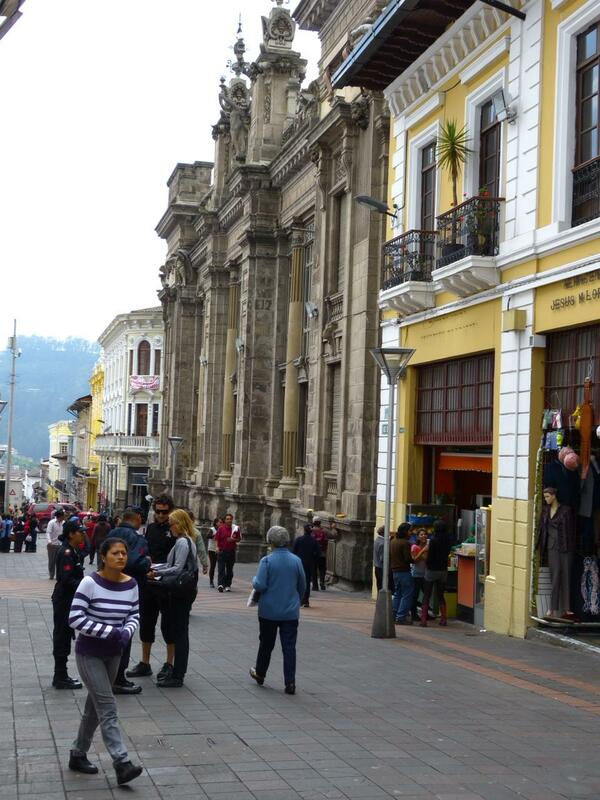 Here’s a shot of a typical street in the historic center of Quito. Notice the interesting architecture, and how clean everything is! Because I am sending these via email, there is a file size limit, so day 1 will continue in another installment. It’s beautiful there. I love all the architecture. Hope you guys are having a ball. 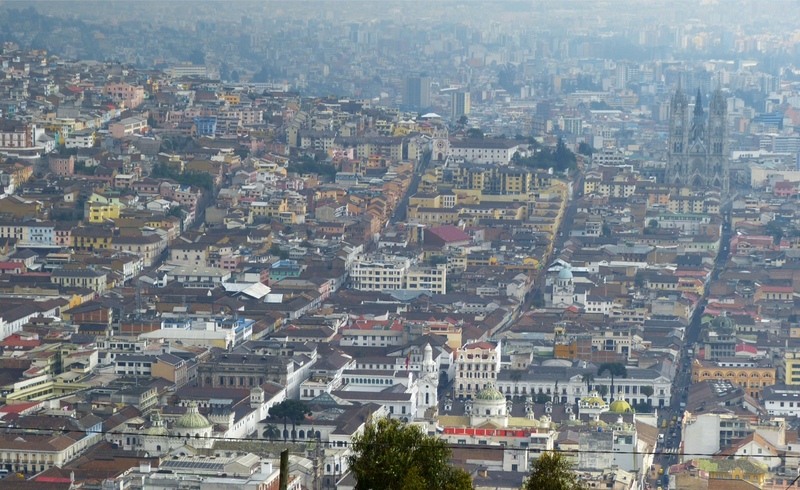 I loved the architecture when we visited Quito in 1999. I’m glad it still looks similar! Previous Previous post: And the answers are….